Nerd Schwag, originally uploaded by pinkestblack. This was a schwag gift that Google gave to engineers for getting certain types of code readability. "LGTM" stands for "looks good to me" and is the way code reviews are approved. 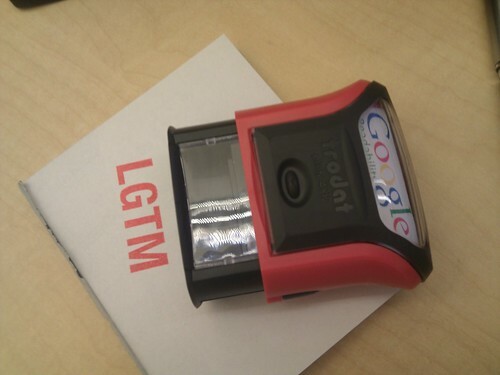 The meatspace LGTM stamp is kinda cool, and would work for designers too! Just print out your new specs and give your design review colleagues this and let 'em loose!